Simmba: Actor Ranveer’s Look Will Remind You Of Actor Ajay Devgn In The Movie Singham: He vowed us with his portrayal of Alauddin Khilji in Padmavati. 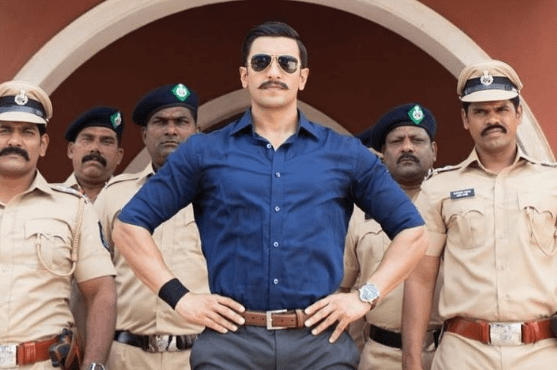 And now, he is all set to entertain as cop Sangram Bhalerao in Rohit Shetty’s Simmba. His appearance is similar to Ajay Devgn’s Singham, except that the vibe isn’t as intense. Interestingly, Ajay Devgn will also make a cameo in the film. According to reports, the first schedule of the film is two months long. Simmba is the remake of the Telugu film, Temper. The film revolves around a corrupt police officer who takes on a local goon. Simmba is said to be an “out-and-out action masala entertainer”, which will retain some elements of Temper, although the script has been modified to suit the Hindi audience. Around 20 % of the original story has retained, the rest will be amended to suit our audience,” said Rohit. Actress Sara Ali Khan is the female lead in the film and is simultaneously shooting for the film Simmba as well as Abhishek Kapoor’s movie Kedarnath. Simmba movie is expected to hit the screens on December 28th. So, these are the points to describes on the Simmba: actor Ranveer’s look will remind you of actor Ajay Devgn in the movie Singham.